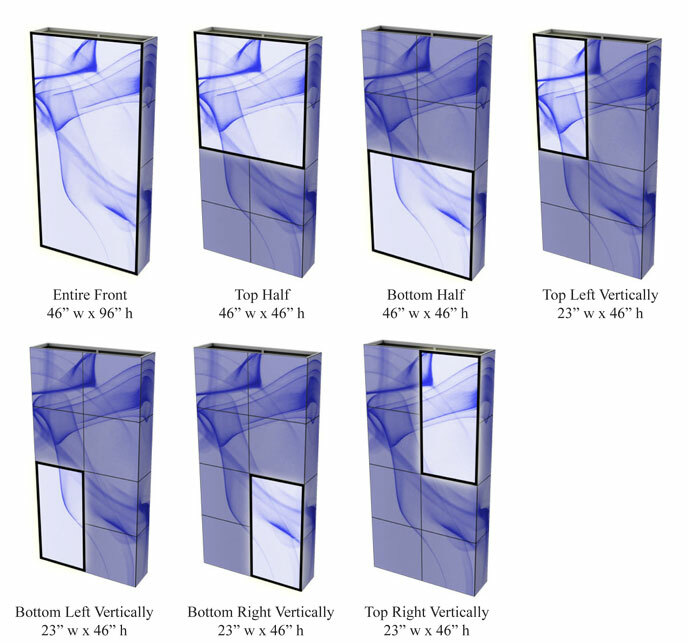 You can easily transform Quads and multiple Quad combinations into striking backlit graphics! 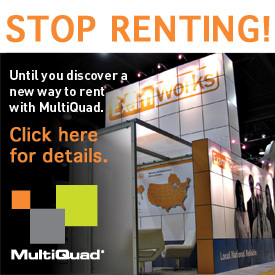 From back-lighting a single 23" x 23" Quad to creating a big, seamless backlit 4’ x 4’ or 4’ x 8’ graphic, MultiQuad makes it easy. But due to the structure of MultiQuad frames, not all Quads and Quad combinations are possible. This guide will show you exactly what back-lighting options are available to you. Unlike a standard Quad’s 1/8" black reveal (border), backlit graphics must have a 1" border (to cover the 1" MultiQuad frame). Any individual Quad can become a backlit graphic. 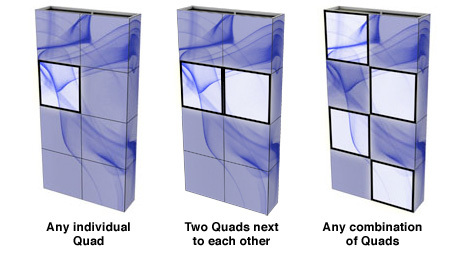 Any combination of individual Quads on a frame can be backlit. And ALL individual Quads on a frame can be backlit at the same time. This means you can have one to eight backlit Quads on one 2x4 Frame. These are individual backlit Quads—each one must have a 1" black border. Two backlit Quads next to each other will create a 2" black border between them. 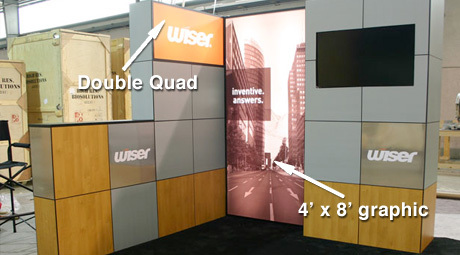 Take a look at the four examples below showing from left to right one back-lit Quad on a frame, two individual back-lit Quads, three on a frame then four. Just remember, each is an independent Quad meaning each has a 1" black border around it. Want to back-light sections larger than 23" x 23"? How about a giant 46" x 92" seamless backlit graphic? That’s almost a 4’ x 8’ graphic seamless and backlit! With MultiQuad…no problem. MutliQuad’s frame allows back-lighting across multiple Quads to create larger, seamless backlit graphics. These graphics can be rigid backlit graphics depending upon the size and the shipping container you use. 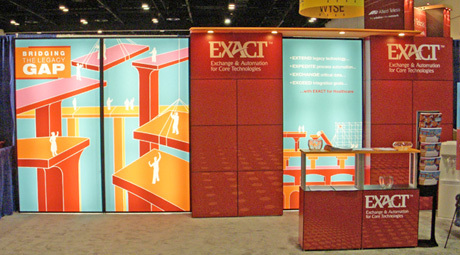 Or, they can be flexible, rollable graphics so they stay lightweight and portable—the choice is yours. But not all sections can be backlit. 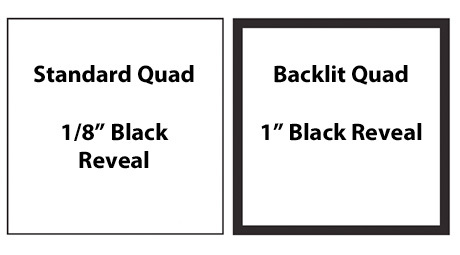 The chart below shows the areas that are available for back-lighting. Remember each of these graphics are seamless, but they must have a 1" black border all the way around.